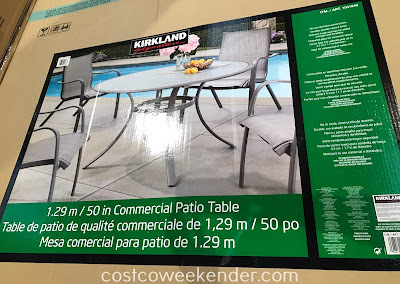 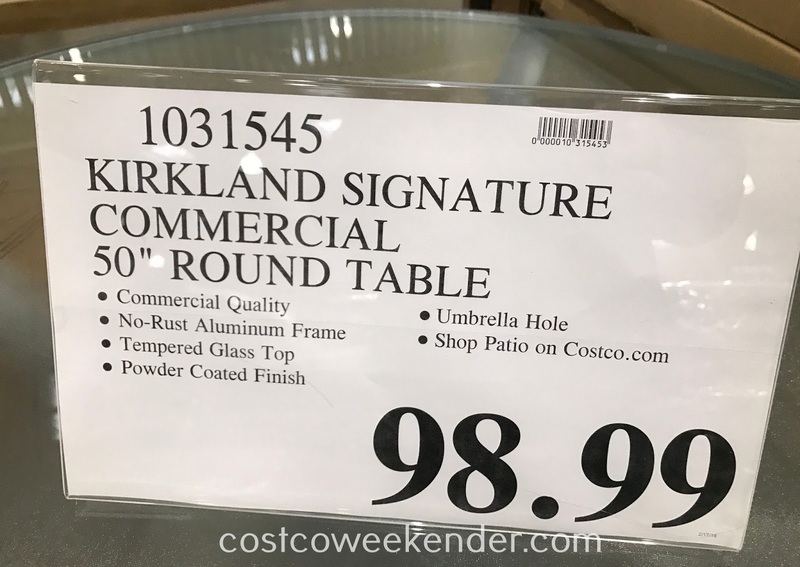 If you like to entertain outdoors, then check out the Kirkland 50in Round Commercial Patio Table from Costco. 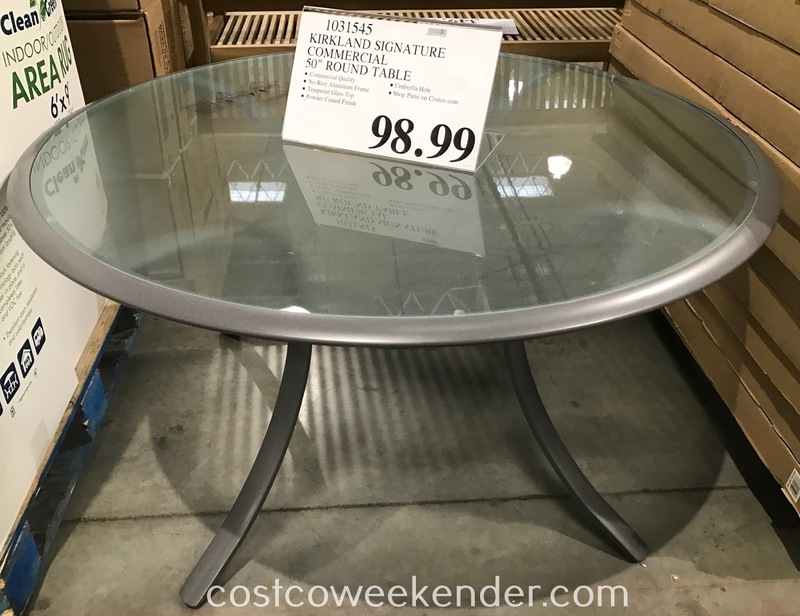 Its no-rust aluminum construction and powder-coated finish allow you to keep the table outdoors without worrying about it looking like a worn down piece of furniture only after a weekend out in the rain. The top is made of tempered glass so it's safe if you have kids running around in the backyard. 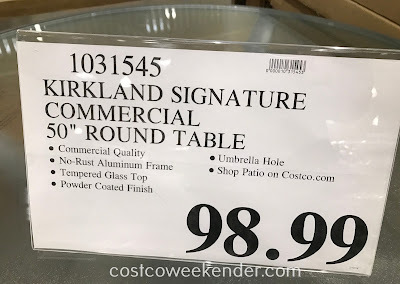 With round tables, you can also squeeze in more people compared to a standard square or rectangular table. So get your summer barbecues off to a great start with the Kirkland 50in Round Commercial Patio Table.